We, at ERPGenie, recognize the huge value that tools like SAP Event Management and SAP Global Batch Traceability bring to the extended Supply Chain. In order to minimize the impact of Supply Chain deviations, regardless of where and when they occur, you need to recognize that a deviation has occurred ASAP (Time to Insight). When you have recognized that an exception has occurred in the Supply Chain you need to be able to immediately action a response in order to minimize its potential impact to the end customer (Time to Action). 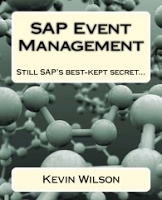 SAP Event Management is SAP's standard tool to make this happen... To learn more check out the details here.